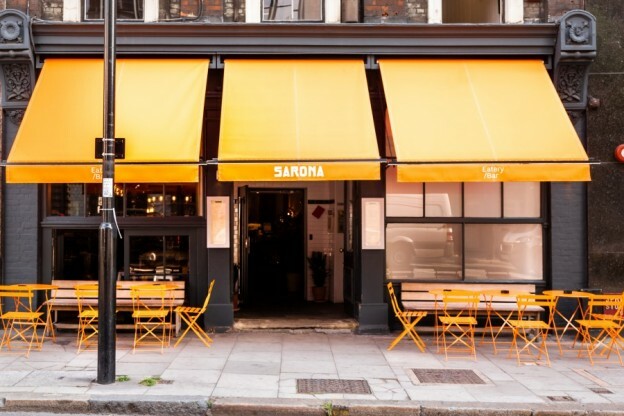 What will drive traffic to Sarona, by far the least showy of the many new Israeli restaurants to open in London in the past year? For those who know the vibrant dining scene in Tel Aviv, world’s most exciting culinary destination, it’s the credentials of chef Aviv Lavi. 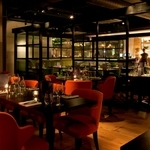 Lavi’s unassuming Clerkenwell dining room, with its distinctly industrial aesthetic, belies his fine dining background. This is a chef who has worked at the legendary, late lamented Raphael in Tel Aviv before moving to today’s most happening joint, OCD. And now, thanks to Lavi following his wife to the UK, Londoners have him all to themselves. 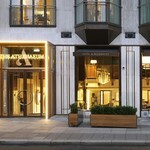 You could be forgiven for wondering from the rough-hewn tables in the front if this was more than a basic hummus joint, but the surprisingly posh loos give the clue this is a serious eatery with the chic of EC1 firmly in its sights. 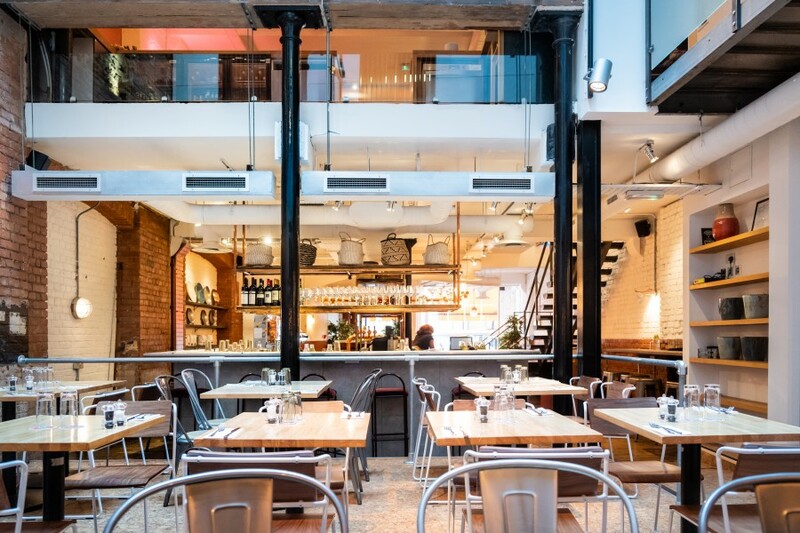 A wealth of hard surfaces – timber, tiles, metal – makes the place a little noisy at lunchtime when the luvvies rapidly fill up the pale wood tables in the back, but it all adds to the buzz. The whole culinary canon of the Middle East is on the menu, so starters include a plate of tasty Palestinian cheese, garnished with the organic heritage tomatoes which were a feature of Raphael. Sweet and delicious, but it would be good to see even more of that addictive cheese on the plate. red peppers and chile topped with runny baked eggs is a lunchtime-only special and alone worth making the trip for; a £10 panful served sizzling in its cast-iron skillet will easily feed two. The hummus comes masabacha-style, chunkier and with more whole chickpeas than we are used to in the UK, and naturally, there is cauliflower with tahini, the Israeli national dish of the 21st century. However, filling up on too many starters could mean missing out on the fabulous lamb areyes. 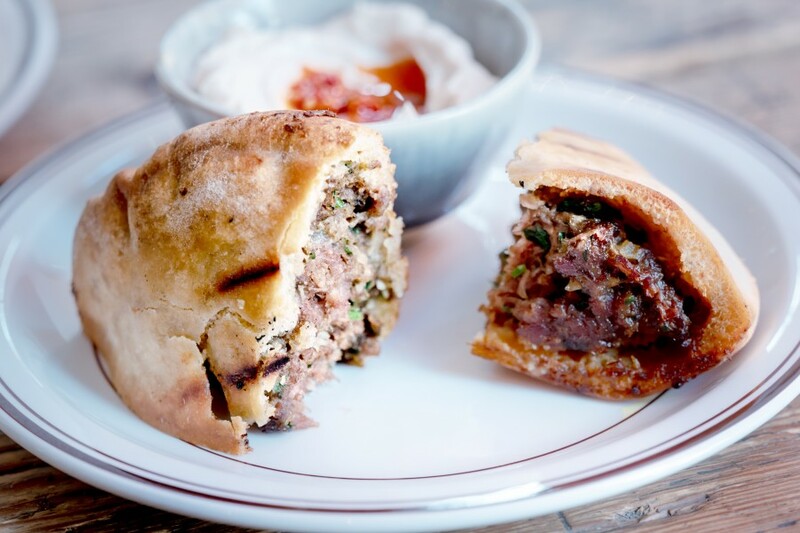 Think meatloaf, but so much better, packed into a crispy pita which tastes deep-fried but is actually basted with lamb fat and baked. Almost the best part is the whipped tahini dressing on the side, sprinkled with harissa and pomegranate seeds. For those with hearty appetites, there are also juicy, if hard to disgorge, prawn kebabs with spicy mayo and representing the eastern European component of Israel’s culinary melting pot, a comforting chicken schnitzel with mash. While there should be no room for dessert, it’s worth making some to share a portion of tahini ice-cream, one of Israel’s great gifts to the world, and a date pannacotta topped with whole pistachios. Not as wobbly as some, but still pretty good. Like Lavi, Sarona’s maitre d’ and sommelier has a fine dining background and has created an inspired wine list, from which a pink primitivo from San Marzano ia a spectacularly good accompaniment to the lunchtime fare. As de rigeur for an Israeli restaurant, coffee is excellent, and the tea brewed with nothing but handfuls of fresh, bright green mint so popular in Tel Aviv is also available. 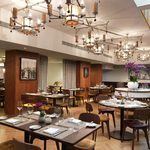 While Sarona is an excellent place to try traditional Israeli cafe fare, Lavi is already evolving into his fine dining background with brunch and tasting menus. 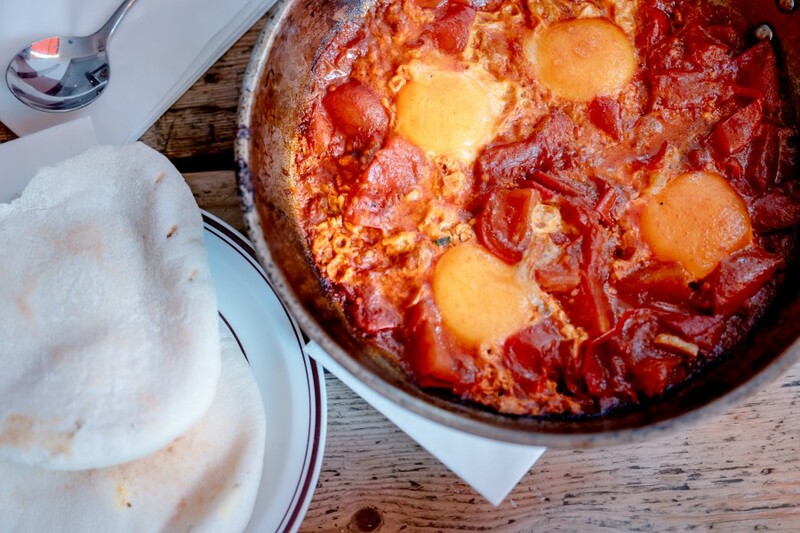 The first brunch, on September 8, will feature as much shakshuka, merguez sausage and other breakfast dishes as diners can cram in, washed down with unlimited Bloody Marys, Bellinis and prosecco for £35 a head including live music.